In February 1842, Joseph Eglese of 13 High Street Aldgate, jeweller, bought the freedom of the City (by redemption) by paying £13.10.- and £5.3.6. The record states that he was the son of Edward Eglese of Southwark, deceased. Edward had died in November 1831 and was buried at Deadman’s Place, Union Street, a sure sign that he was a member of an independent chapel, although he had his son Joseph baptised at St. Saviour, Southwark, on 3 January 1819 (Joseph was born on 18 August 1818). In the 1841 census, Joseph is listed at Cheapside as a jeweller, living with one assistant, one William Middleton, at number 123 or thereabout. The census doe not give any house numbers and I am guessing the house number somewhat from the neighbouring occupants who, unfortunately, do not all appear in Tallis’s early Street View of 1839. Wherever he lived in Cheapside in 1841, it cannot have lasted long as the 1842 freedom record gives him at Aldgate High Street. He is certainly still in Aldgate in 1843 when he married Sophia Webster, but by 1844, he had moved to 30 Cornhill. The baptism of his son Joseph Henry on the 10th of November of that year lists the Cornhill address. And that is where Tallis finds him when he collected the information for his 1847 Supplement. 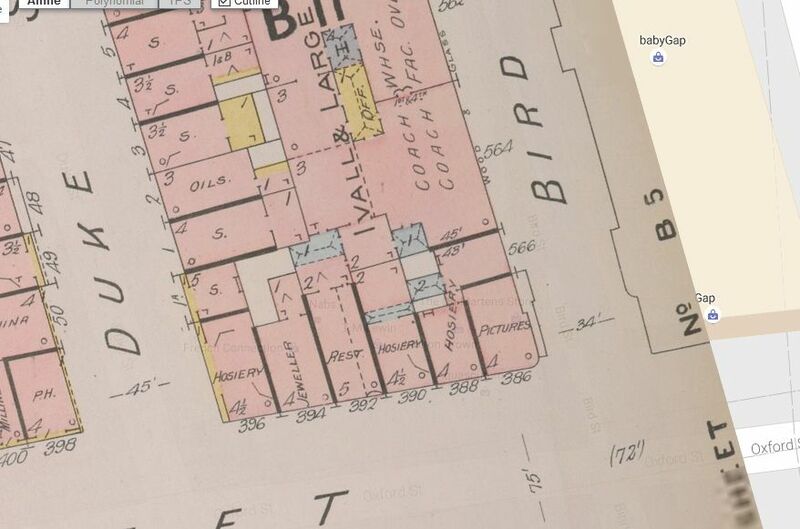 But, again, it did not last long and an 1851 advertisement lists him at 43 Cornhill, corner of St. Michael’s Alley. By then, he no longer lived above the shop as in July 1848, when his son Charles Edward is baptised, he could be found at 6 Scrubland Road, Haggerston, and in the 1851 census at 3 Tyssen Cottages, Hackney. He confirms this in an Old Bailey case where he states “I am a jeweller of Cornhill—I do not live there—my housekeeper and two servants live on the premises”. (1) The occupation of number 43 did not last long either, as already in 1852 Messrs Benson, late Eglese, are listed for that property in the Land Tax records. It was pulled down in 1855 and, according to the tax record, “was not to be rebuilt upon to be left as vacant ground to improve the entrance of St. Michaels Alley”. Around 1856, Eglese occupied 28 Cornhill. Charles Edward is next heard of in Australia, where he marries Emilia Wayland in 1887. But Charles was a wrong one and embezzled some funds from the Wollongong Harbour Trust where he had been the secretary. He admitted to falsifying the books and said he had expected a legacy and only ‘borrowed’ the money, fully intending to return it. In 1904, he divorced Emilia on the ground of desertion. You wonder why she left him, don’t you? The legacy he was allegedly expecting could have been from his mother. Joseph Eglese had died in 1883 and left his widow £925. (3) She died on Christmas Day 1886, but probate was not granted until 1893. Her estate only amounted to a little under £100 and the executor was daughter Sophia Elizabeth Bedborough. (4) There is, however, no indication that Charles Edward was to receive any of it. The Standard, 15 September 1891. The Bedborough in the High Court of Justice case was no doubt daughter Sophie Elisabeth, but I do not know who Mackerell is. And the shop at 30 Cornhill? The Submarine Telegraph Company had their offices there after Eglese left. Their history has been extensively researched and can be seen here. The STC just rented the space and the Land Tax records continued to list number 30 for Currie & Co, bankers, who also owned other property in the area. (1) Old Bailey case t18640606-591. 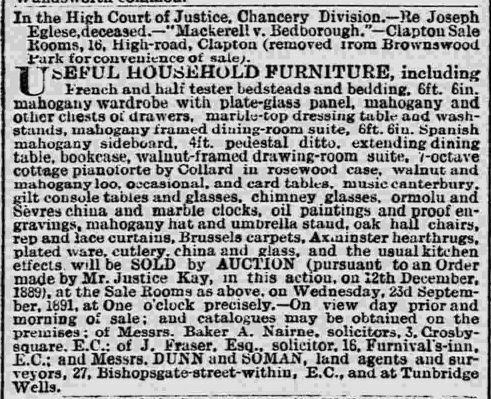 (2) The London Gazette, 19 December 1880. (4) England & Wales, National Probate Calendar (Index of Wills and Administrations), 1893. We saw in the post on Henry Fricker, shoemaker, at 171 Oxford Street, that at some point in time his neighbour at number 172, Henry Mills, extended his own property to include number 171. 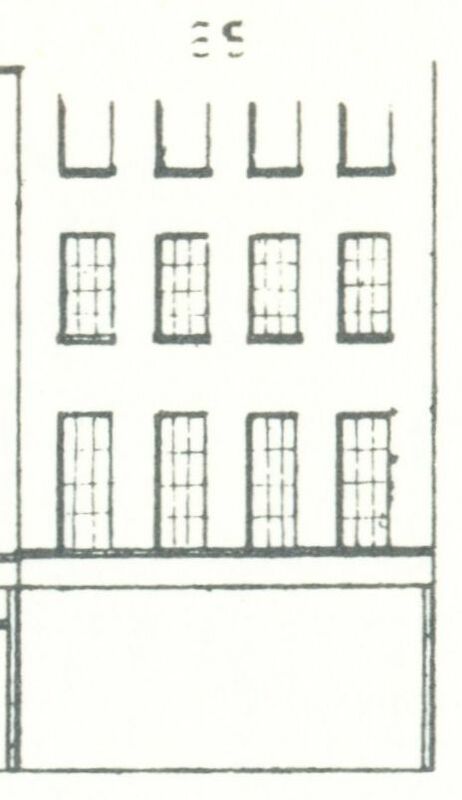 That is not to say that the two buildings very physically merged into one; they were not, but Mills apparently thought it advantageous to spread his shop over two properties. It appears from the 1841 census that the shops were already combined in or before that year as there is only one entry between the occupants of numbers 170 and 173, listing Mills and his family. 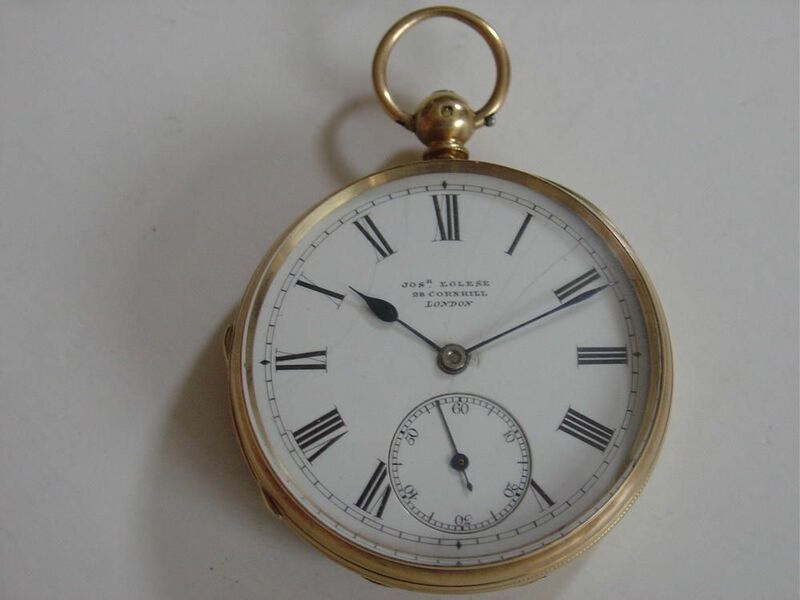 The next census, of 1851, however, reverted to two entries with Benjamin Burchett, watchmaker, two shop assistants and a general servant at number 172 and John Finlayson, jeweller’s assistant at number 171. Also at number 171 could be found a house decorator with his wife and a lodger. It would appear that the decorator just rented part of the house as we still find Mills as “Mills, Henry, silversmith & goldsmith, watchmaker & jeweller, importer of foreign clocks & watches” at 171 & 172 Oxford Street in the 1856 Post Office Directory, without any mention of anyone else trading from either property. Mills himself, by the way, was by then living at Turnham Green, Chiswick. Henry senior died in April 1868 and the burial and probate records still gave Oxford Street as his abode, so he apparently never officially retired. (4) Son William James was to follow him to the grave two years later, just 31 years old. 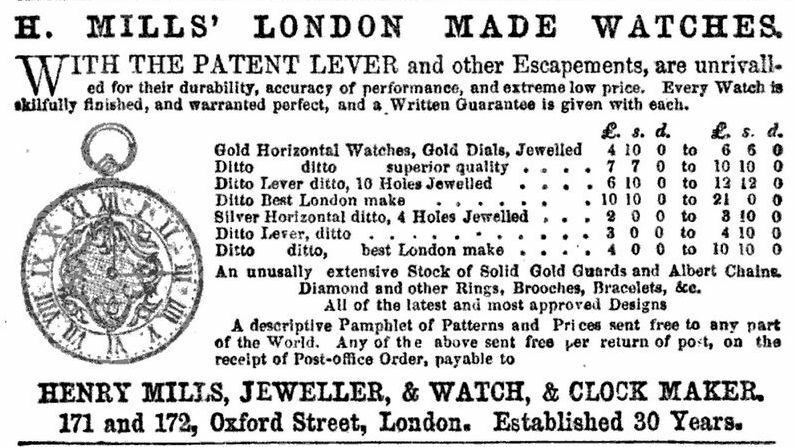 (5) Louisa, William’s widow, was listed as watchmaker and jeweller at 172 Oxford Street in the 1871 census, and Henry junior with the same profession at number 171. By 1881, however, Henry had disappeared from Oxford Street and numbers 170 & 171 are occupied by James Moore, upholsterer and carman. Louisa is still at number 172, though. A little after the census was taken, the house numbering in Oxford Street changed and 172 became 394. It is not clear how long Louisa remained at number 172 after the 1881 census was taken, but in 1891 and 1901, number 394 was occupied by Frederick Dixon, a jeweller originally from Lincoln. In the 1911 census he is still described as a jeweller and his son Leslie Frederick as an assistant jeweller, although they were no longer living at Oxford Street, but at Gayton Road, Harrow. In 1909, Leslie had acquired the freedom of the City through the Company of Spectacle Makers by redemption. On the Company’s documents he was described as an optician. The Dixons may have continued trading as jewellers while sharing the premises with others, but it is clear that totally different things were available from number 172/394 in 1913 and 1919. (1) The Morning Post, 22 March 1843. (2) Old Bailey case t18430508-1499. Online here. (3) Daily News, 15 September 1864. (4) England & Wales, National Probate Calendar (Index of Wills and Administrations), 1868. Estate valued at under £7,000. On the 8th of June, 1821, John Miers, 64 years old, jeweller of 111 Strand was buried at St. Paul’s, Covent Garden. From John’s will we learn that he had nine children living (two had died before him) and that his son William and John Field “who has been my assistant several years shall jointly and as partners have the option of purchasing the lease of my house, goodwill of the business … at a fair valuation”. If they do not want it, the executors (Francis Place and John Meabry) were to sell the business. If we go back in time a few years, we come across an Old Bailey case in which two young boys were tried for attempting to steal earrings from the shop. (1) In itself, the report of the theft is not terribly exciting, but it does tell us that the shop belonged to John Miers senior and that his son, John junior, was also working there and so was Lewis Field who described himself as assistant to Mr. Miers. Were this Lewis and the John Field mentioned in the will related? Possibly. Or was there a mistake in the Old Bailey report and was his name John? Also possible. William Miers and John Field did indeed enter into a partnership after the death of John Miers senior, but The London Gazette of 14 April 1829 has a short notice to say that they are “in insolvent circumstances”. A later notice (London Gazette, 15 October 1830) announces a meeting with the creditors and the executors of John senior’s estate. It also mentions that John junior has a debt owing to the estate and that he is “late of Rio de Janeiro, in the empire of the Brazils”. He was, in fact, to remain in South America for many years and became a well-known botanist. In due course, dividends were paid out to the Miers & Field creditors, but in 1840 (London Gazette, 17 March 1840), William is once again in financial trouble. 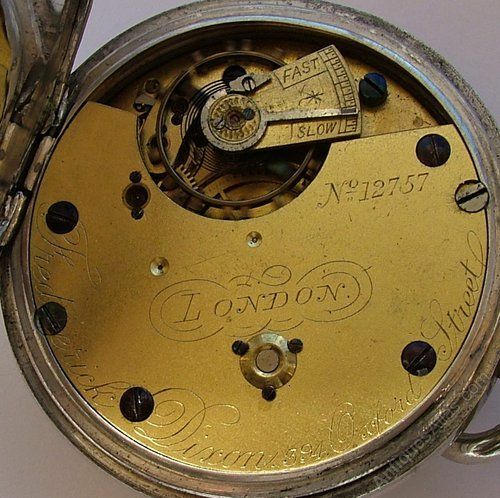 This time no longer together with John Field (more on Field’s later career here), and instead of jeweller, he is now described as “ormolu miniature frame-maker, dealer and chapman”. His address is still given as 111 Strand, but two months later, in a further notice in which he is given a certificate (London Gazette, 15 May 1840), he is described as “late of 111 Strand”. From the 1841 census we learn that he is living at 31 Cockspur Street with his wife (Amelia) and children (William John and Amelia). Ten years later, he and his wife can be found at 5 Charlotte Street. William dies in 1863 and that would be the end of the story, but for the amazing work father and son did. Although John senior was described as a jeweller, he specialised in silhouette portraits, or ‘profiles’ as they were also called, done on cardboard, plaster or ivory, some so small that they could be used on rings or lockets. Robert Burns had a silhouette of his Clarinda (see here) and a miniature one as well (see here). The correspondence between Burns and Clarinda shows her announcing that she is going to Miers (who was at that time working in Edinburgh) and Burns replies, “I thank you for going to Miers … I want it for a breast-pin to wear next my heart”.(2). 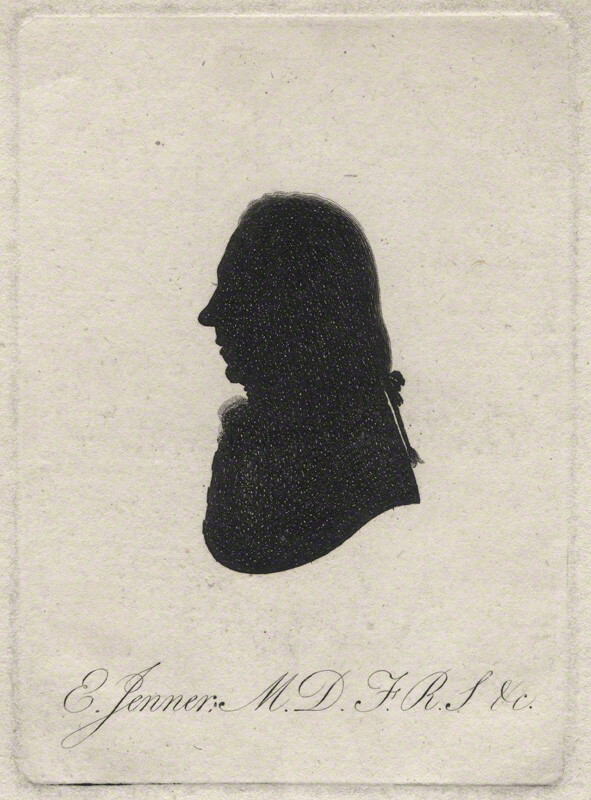 The National Portrait Gallery has ten examples of silhouette portraits by and after Miers (see here), but the Internet will reveal many more. These small profiles or silhouettes obviously required small frames and that is what son William seemed to have specialised in. They were first made from gilded plaster or papier mâché, but were later made in ormolu. It is thought that at least some silhouettes ascribed to John Miers were in fact by John Field and he seems to have been the artistic driving force during the partnership with William Miers. William may not even have made any profiles himself, but just relied on copying the duplicates his father had made. 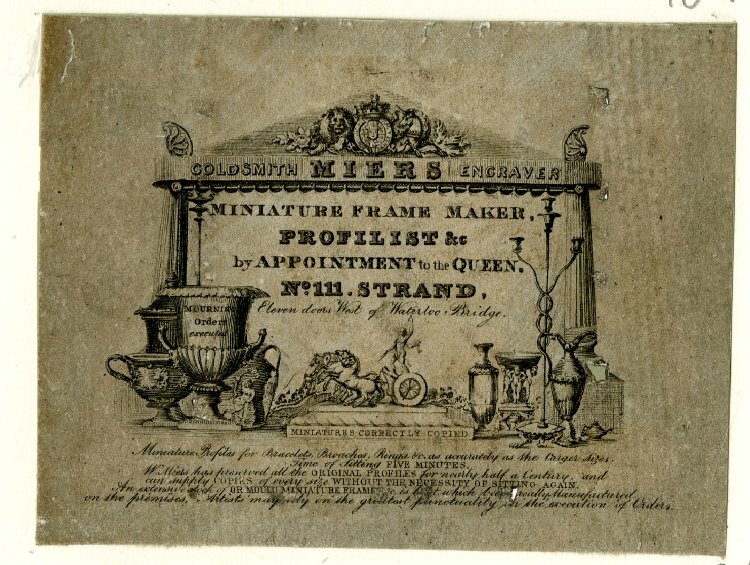 In the trade card below you can see – in very small print – that he has “preserved all the original profiles for nearly half a century, and can supply copies of every size without the necessity of sitting again”. During his career William described himself variously as goldsmith, profilist, jeweller, miniature frame maker, and engraver. William died 22 August 1863, but does not seem to have written a will, at least, no mention is made of him in the National Probate Calendar. More information on John Miers can be found here, and more on William here. And 111 Strand? 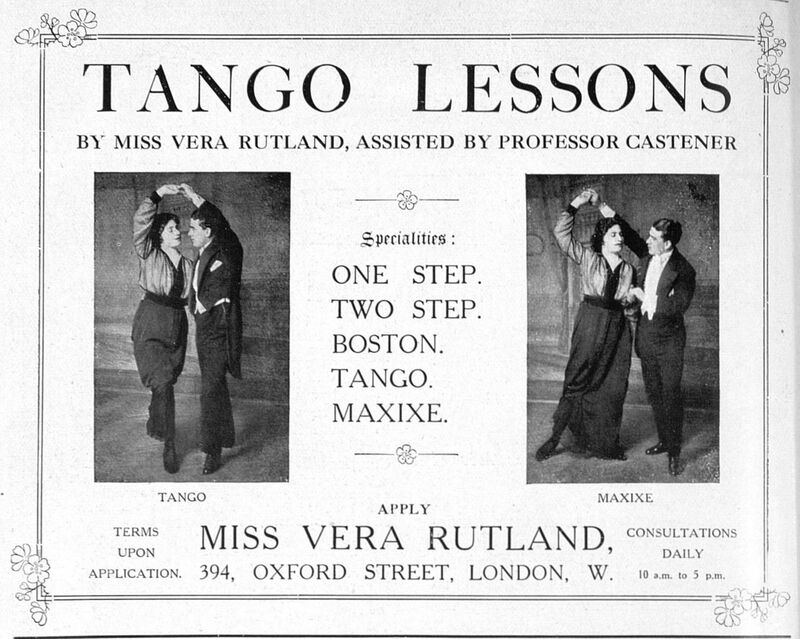 That became the address of the Phonographic Institution, first run by Thomas Allen Reed and later by Bernard and Henry Pitman, the brothers of Isaac Pitman who developed phonography, that is, the shorthand writing system. Isaac Pitman, A Manual of Phonography, Or, Writing by Sound (1849), p. 44. (2) The Correspondence Between Burns and Clarinda, 1843, p. 191. (3) For this list, I have relied on various post-office directories and on the information that profilesofthepast.org.uk has compiled. The previous post showed us Charles Snelling, perfumer and hairdresser, moving from Wellington Street to 20 Gracechurch Street some time between the publication of the Tallis booklet and the 1841 census. 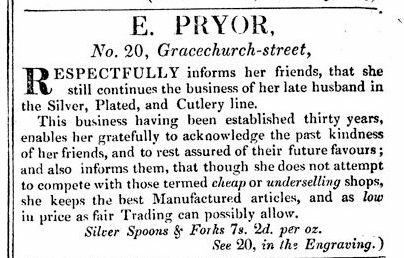 In the Tallis booklet for Gracechurch Street, number 20 is occupied by E. Pryor, silversmith, jeweller and cutler. 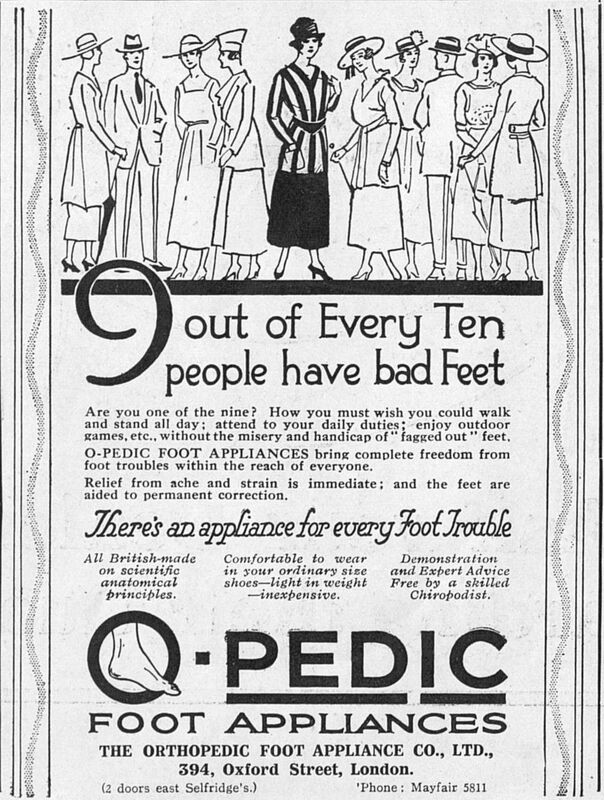 The advertisement for the shop in the booklet shows us that E. Pryor was widow Elizabeth Pryor. She had continued the business of her husband Nathaniel after his death in 1833. (1) Nathaniel Pryor (born 1766) and Elizabeth Thake (born 1777) had married in 1795 at St. Botolph’s, Bishopsgate, but the earliest mention I found of a shop for them in Gracechurch Street is in 1809 in the Sun Fire Office records. That is not to say that Nathaniel had not had a shop before that, perhaps even as early as 1789 when he was eligible for the freedom of the Goldsmith’s Company (he had started his apprenticeship at Joseph Savory’s of Cheapside in 1782), but he may just as well have stayed on with his master as a journeyman. 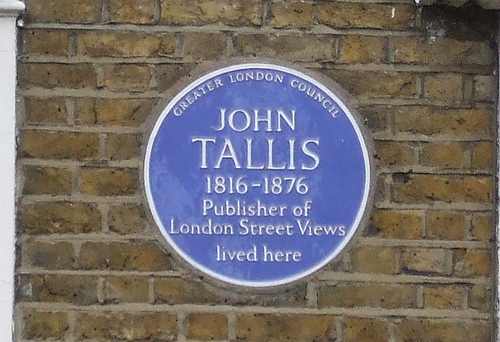 In the advertisement Elizabeth entered into the Tallis’ Street View booklet, she says that the business had been established 30 years ago, which would indeed suggest 1809 as the starting date. Montague Howard in his Old London Silver of 1903 gives Nathaniel from 1810 to 1833 and Elizabeth from 1834 tot 1840. Intriguingly, he also gives a Matthew Pryor at 20 Gracechurch Street in 1819, but I have not found any record of him elsewhere. Could that have been a misreading of Nath.? We do not know a lot more about the shop or what was sold there other than what has been described in the advertisement, but there is a bit more to say about the charitable work undertaken by the Pryors. For all Victorians charity constituted a large part of everyday life and an advertisement in The Morning Chronicle of 7 May 1821 testifies that the Pryors were no exception. Mrs Pryor is mentioned as one of the people undertaking all the arrangements for the embarkation of a destitute mother and her eight children to New South Wales where they are to join the husband and father. The subscription needed was to cloth the family and provide them with a few necessities for their passage. In this particular case, we do not know the name of the woman, but in another case, we know more. In February 1819, Nathaniel Pryor received a letter from the Bank of England saying that they were prepared to give £5 to Elizabeth Brooks upon her embarking for transportation to New South Wales. Elizabeth Brooks had been convicted of knowingly trying to pay with a counterfeit £1 bank note. The case was heard at the Old Bailey in September 1818 and she was sentenced to death. 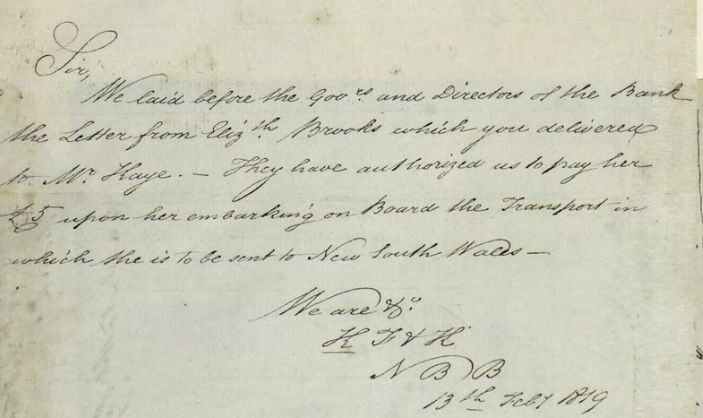 (2) The sentence must have been changed to one of transportation as on the 1st of February, Elizabeth Brooks writes to the Governors of the Bank of England from Newgate Prison’s “transport side” that she is to go “to a Foreign Country” with her children, two of which are with her in the prison. Two others who are at a factory are to join her with a 5th child to remain behind, looked after by a friend. While Elizabeth was in prison she sold or pawned all her clothes to support the children and now that transportation was imminent, she asked the bank for support. This may seem strange as she first robbed them by trying to pay with a forged note, but the Bank had a fund set aside for desperate cases such as Elizabeth’s. (3) I gather from the correspondence that Elizabeth’s letters did not go to the Bank directly, but were sent via an intermediary, in this case Nathaniel Pryor, hence the answer to him and not to her directly. The original letters from Elizabeth Brooks and the bank’s answer to Nathaniel Pryor (and many more like them) can be seen here. 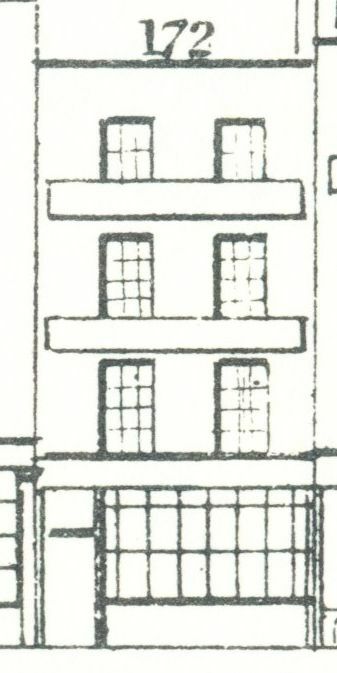 Despite the fact that Elizabeth Pryor said that she was still continuing her late husband’s shop in the Tallis’ Street View advertisement, she must have given the business up quite soon afterwards, as in the 1841 census we find her living as an “independent” with William Smither, a tea-dealer at 28 Gracechurch Street. As we have seen, the shop at number 20 was taken over by hairdresser and perfumer Charles Snelling who had his business there until at least 1852 when dividends were paid out to his creditors after bankruptcy proceedings had been started against him. (1) Nathaniel died the 15th and was buried the 24th of the 2nd month of 1833 at Bunhill Fields. The notation of the month as the 2nd rather than February is a Quaker practice and the records of the Quarterly Meeting of London and Middlesex contain a paper asking Thomas Colcock, grave maker to dig a grave for Nathaniel in the Friends’ burial ground at Bunhill Fields. (2) Old Bailey case t18180909-107. (3) See website Bank of England here. 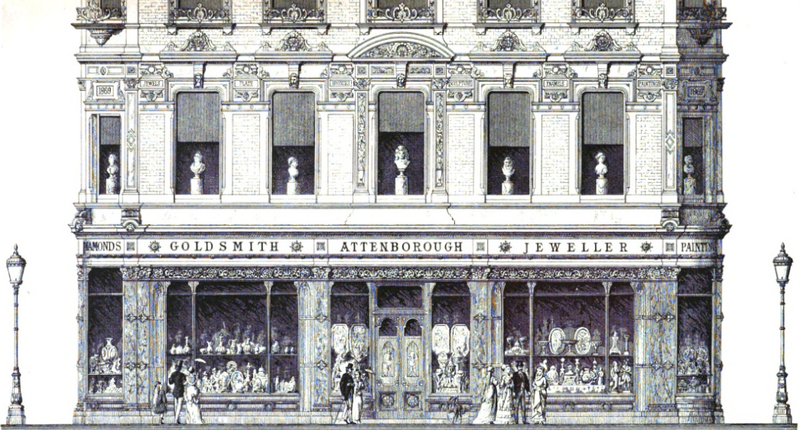 As mentioned in the previous two posts, the Attenboroughs that had a pawnbroker’s or jeweller’s shop in London are manifold and cause many identification problems, especially the ones that are the subject of this post as they seem to be all over the place all at once, not to mention their predilection for the name Richard, but I will do my best to keep their story as simple as possible. Unfortunately, some family members will fall by the wayside, either because I cannot prove a relation between them, or including them would complicate matters unnecessarily. For a break-down of the Attenboroughs from Titchmarch, see the previous post and for the Attenboroughs from Blakesley, see here. In this post I will attempt to sort out the ones from Titchmarsh that had their business at 110 Shoreditch, but to do so, we must first look at Robert Attenborough (1777-1809) who describes himself in his will as of Crown Street, Finsbury Square, pawnbroker. He mentions his brothers John and Richard who are to be the joint executors. (1) Not long after Robert’s demise, we find brother Richard (1780-1862) running the business in Crown Street. Robert’s sons are then still too young to be working, but in 1825, in an Old Bailey case, we learn that Richard (1809-1886), the son of the Robert who died in 1809 and the nephew of the Richard who took over the Crown Street pawnbroker’s, is working in his uncle’s shop. (2) Crown Street, by the way, is sometimes given its later name of Sun Street, but the same property is meant. From at least 1812, one Alexander Innes Burgess (sometimes called plain Alexander and sometimes Alexander James) is working at the pawnbroker’s and is later taken on as a partner. The partnership is dissolved in 1838 and Burgess goes his own way. (3) However, when the partnership is dissolved, the address of the business is given as 110 High Street, Shoreditch. When we look back through the Old Bailey cases, we find that at least from 1825 onwards, the 110 High Street shop is used by Richard alongside the Crown Street property. If the uncle and nephew had kept to these two addresses, there would not be a problem, but alas, their expansion drift knew no bounds. The 1841 census finds nephew Richard with his wife Elizabeth (who is also his cousin), their children (Mary 8 years old, Elizabeth, aged 6 and Richard, aged 2) in Oxford Street. Also living there as apprentices are yet another Richard Attenborough and a James Attenborough (both 15 years old, although that is probably approximate). 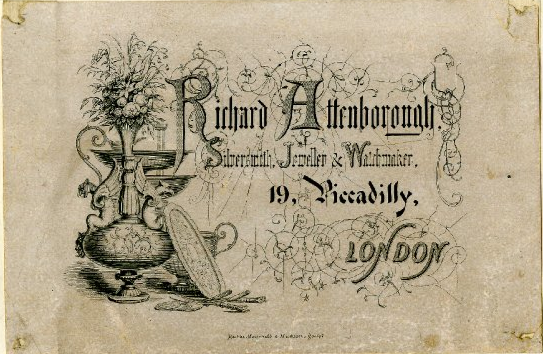 There is a James Attenborough, silversmith, to be found in Victoria Road in 1851 who was born in 1823 in Titchmarch, and most likely the son of John and Susannah, and therefore nephew Richard’s cousin. Whether the other apprentice, Richard, is also the son of John and Susannah or another relation (perhaps Richard, son of George of Blakesley?) is unclear. But keep an eye on little Richard, the two-year old son of nephew Richard, as he will figure again later on. 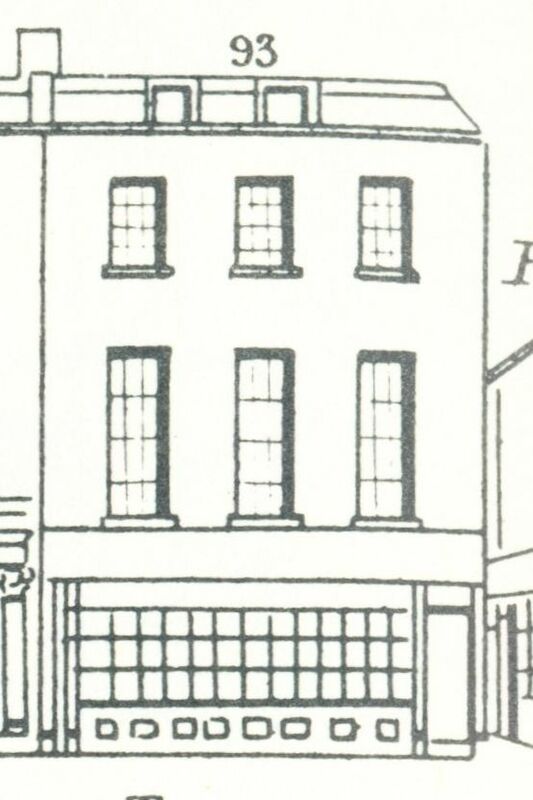 The 1842 Robson’s London Directory tells us that nephew Richard had his shop at 68 Oxford Street which was empty at the time Tallis brought out his Street View. It is also very badly depicted in the booklet with a gaping hole on the ground floor, so it may have been in the proces of being rebuilt for Richard. 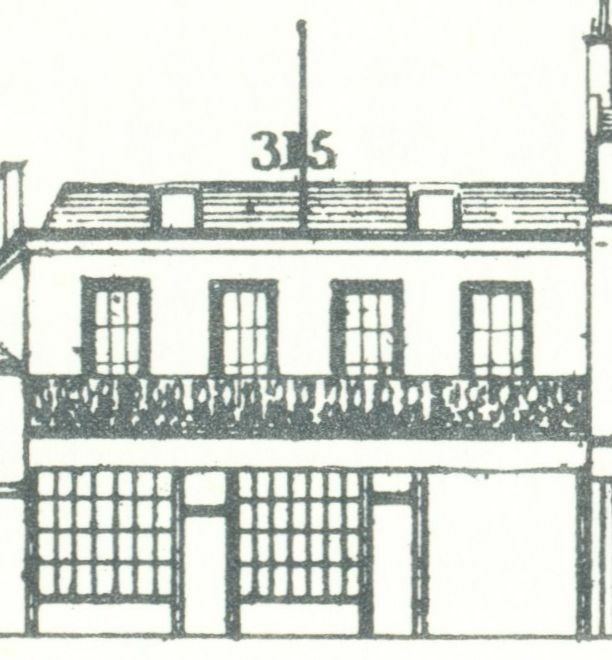 The 1848 Post Office Directory tells us that Richard senior (the uncle) is still working from 31 Crown Street, but also from 8 Bridge-house Place, Borough; the Shoreditch shop is not mentioned. The Bridge-house property must have been in his possession since at least 1835 as he takes out an insurance with the Sun Fire Office for the shop in that year. In 1848, nephew Richard is working from 68 Oxford Street and 1 Adam & Eve Court, but that latter address quickly disappears and is no longer listed for him in the 1851 Post Office Directory. The 110 Shoreditch address is back in the 1851 directory, but now belonging to George Attenborough (1815-1874) who also has shops at 31 Compton Street and 24 Kenton Street, Brunswick Square. He is the son of uncle Richard’s brother John. George is mentioned as working and living in Crown Street in various Old Bailey cases between 1833 and 1842. In 1850, he marries Harriet Elizabeth Leete, who, judging by her last name, was in some way related to George’s mother who was called Susanna Leete Coales, but I do not know how exactly. George died in 1874 and his probate entry describes him as of “11 Paragon, New-Kent-road and of 93 and 95 Old-Kent-road”. (4) No more mention is made of the 110 High Street, Shoreditch shop. In 1851, uncle and nephew Richard are living in the same house again, this time in Green Street House, East Ham. In 1861, Richard junior, the son of nephew Richard, can be found at 68 Oxford Street with his sister Mary. Unfortunately, young Richard dies just two years later. (5) The business at 68 Oxford Street remains in the family as in 1871, we find nephew Richard living in Acton with the job description “pawnbroker 68 Oxford Street”. Ten years later, we find him at 52 Holland Park, but he is not happy and on 6 December 1886 he commits suicide. Richard was buried at Brompton cemetery on the 10th. Probate was granted to his daughters Elizabeth and Annie, spinsters. (7) Uncle Richard could be found living at the 8 Bridge-house Place, Newington Causeway, property in 1861. He died in 1862 and although his probate entry only mentions Bridge-house Place, a notice about his death in The Observer also mentions Crown Street, so he must have retained that shop till the end of his life. (8) An 1864 notice in Lloyd’s Weekly Newspaper mentions a John Attenborough at 8 Bridge-house Place, but I do not know how he was related to uncle Richard, or to the nephews Richard and George. Despite the use of the word jeweller, most of the pawnbroking business of 110 Shoreditch concerned everyday objects and pieces of clothing, rather than rings and watches. The Old Bailey cases where the Shoreditch or the Crown Street shops are mentioned, relate to items such as a looking glass, shawls, shirts, sheets, handkerchiefs, stockings and bits of carpet. 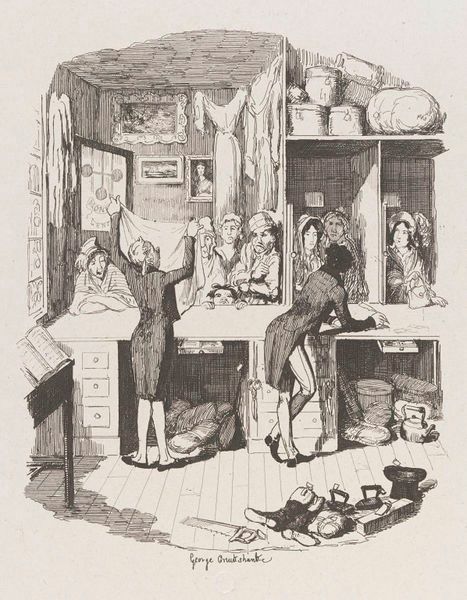 For instance, in October 1831, Henry Horn, shopman to Attenborough’s at Shoreditch gave evidence in a case of a purloined shawl which the accused had pawned for 2s at the shop. (0) And in another case, nephew Richard produces the sheet, valued at 3s, the accused had stolen from a farrier. 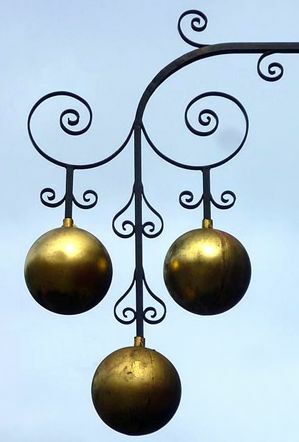 (10) Being accused of dealing in stolen items must have been a constant worry for pawnbrokers — it probably still is — and the Attenboroughs seemed to be in court quite often to give evidence on stolen property. 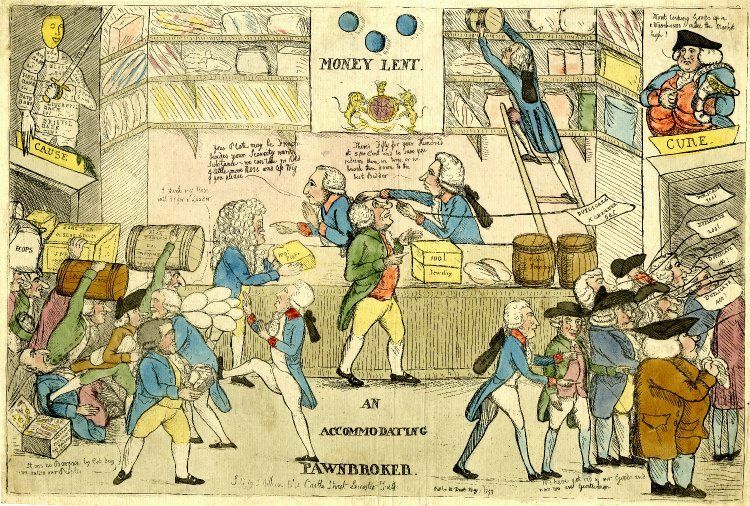 In 1872, the Pawnbroker’s Act regulated the trade, making sure that pawnbrokers were of good character before they obtained their licence which could be revoked if the pawnbroker knowingly received stolen goods (see here). In 1907, Charles Leete Attenborough wrote The Law of Pawnbroking. With the Pawnbrokers’ Act, 1872, and the Factors’ Act, 1889, and Notes Thereon. Charles Leete was the son of George of 11 Paragon, New-Kent Road. Pawnbroking and the jeweller’s trade seems to have run in the blood of any number of Attenboroughs and even today, Attenboroughs can still be found in London plying the same trade. There is a branch in Bethnal Green Road and their website states that they have been in business since 1892, but how they are related to the Attenboroughs that have been discussed in the last three posts is unclear. (1) The National Archives; Kew, England; Prerogative Court of Canterbury and Related Probate Jurisdictions: Will Registers; Class: PROB 11; Piece: 1491, 7 January 1809. 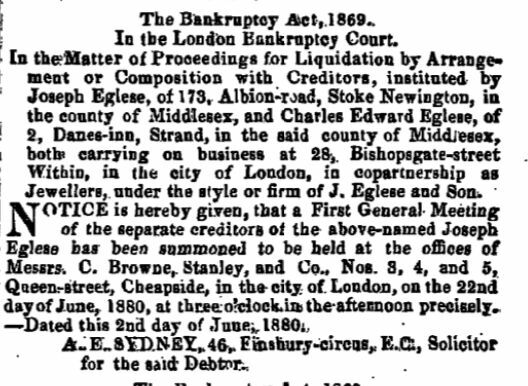 (3) First mention in 1812 (Old Bailey, t18120219-37); partnership dissolved (London Gazette, 30 January 1838); In 1848 he can be found as a pawnbroker at Clarence Place, Camberwell (Old Bailey, t18480918-2213). (4) England & Wales, National Probate Calendar (Index of Wills and Administrations), 1874. Probate was granted to Gill and Layman, pawnbrokers and his son John of St. Paul’s Churchyard, a solicitor. The estate was valued at £16,000. (5) The Observer, 12 June 1864. Richard had died on the 4th of June and was buried at Brompton cemetery on the 10th. (6) The Standard, 9 December 1886. Thanks go to Nicholas Thompson for sending me his information on the Attenboroughs and for alerting me to the tragic end of nephew Richard’s life. (7) England & Wales, National Probate Calendar (Index of Wills and Administrations), 1886. The estate was valued at just over £35,000. (9) The Observer, 26 May 1862; England & Wales, National Probate Calendar (Index of Wills and Administrations), 1862. Probate was granted to nephews Richard and John (a farmer at Brigstock, Northants). The estate was valued at £120,000. Uncle Richard was also buried at Brompton cemetery. You may also like to read the posts on Robert Attenborough of Charlotte Street, and on George and Richard Attenborough of Fleet Street and Piccadilly. In a previous post, we saw Richard Attenborough of Blakesley married to Elizabeth Coales. 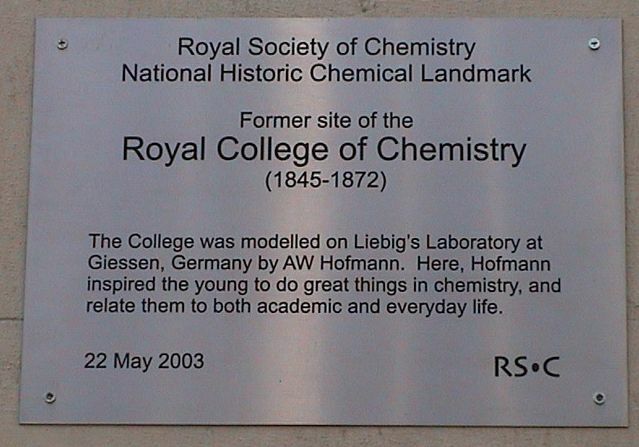 Elizabeth was the niece of Susannah Leete Coales who married John Attenborough of Titchmarch. The story of the extended Attenbury family is quite a complicated one and especially the Titchmarch side of the family. To make the story not more complicated than it already is, I will leave out all the family members that do not figure in the pawnbroker’s story. -John (1773-1860), married Susannah Leete Coales (1780-1864); they had a son George (1815-1874) and a daughter Elizabeth (1804-1884) who married her cousin Richard (1809-1886). Susannah’s niece Elizabeth (1829-1914) married Richard (1822-1901) of Blakesley. 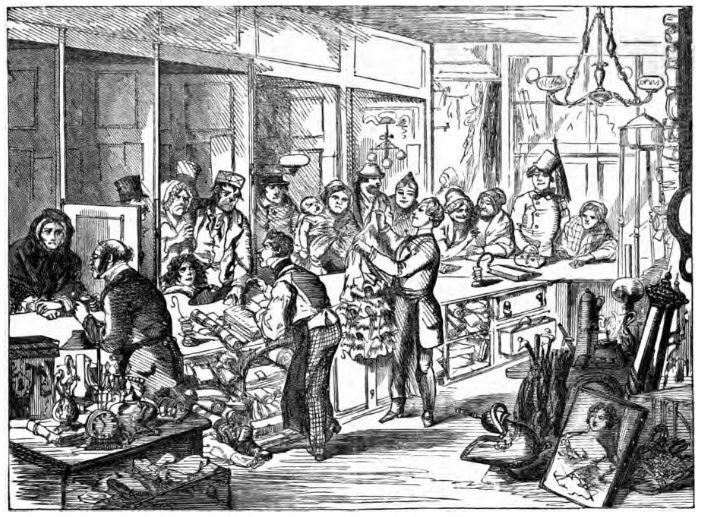 The various family members spread themselves out as jewellers and pawnbrokers at many addresses in London. Only three of which are in the Tallis Street Views, one for the Blakesley lot (see here) and two for the Titchmarsh side of the family; the one you are reading now and this one. There were many more addresses, some of which will be mentioned, but others will unfortunately have to be ignored, either because I cannot quite work out what the family connection is, or because the story will get too complicated and too far removed from the Tallis Street Views, after all the subject of this blog. 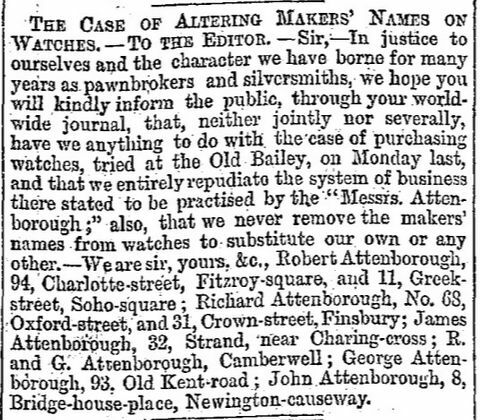 Two more addresses are found in Old Bailey cases for a Robert Attenborough: Greek Street (1855 and 1863) and Duke Street (1873 and 1874). 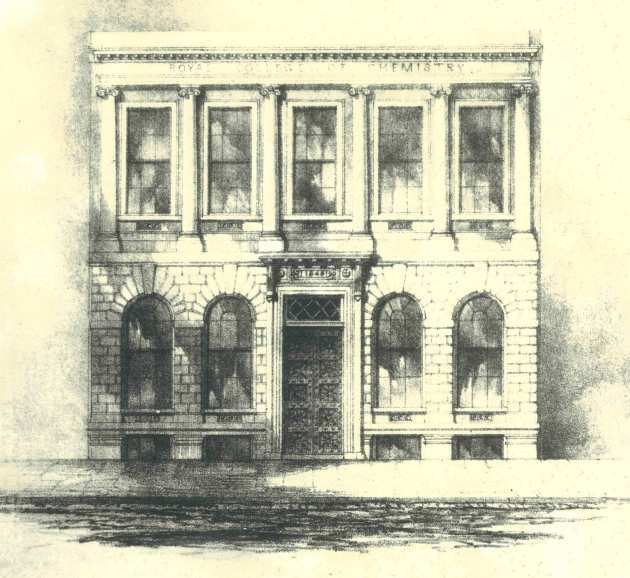 In the Old Bailey transcripts, there is no evidence that it concerns the same Robert as the one in Charlotte Street, but a report in the Morning Post of 14 July 1851 on a burglary at Greek Street at least tells us that the owner, Robert Attenbrough, does not live above the shop, so it may certainly be a second shop belonging to the Robert of Charlotte Street. 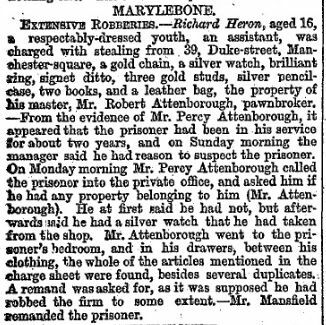 Robert figures several times in newspaper reports of fraudsters, cheats and liars trying to fob off stolen goods to the pawnbroker, either at Charlotte Street or Greek Street, but only in 1864 do we find evidence that it concerns one and the same Robert, incidentally also giving us information about the other Attenboroughs. The first time, 39 Duke Street, Manchester Square, is mentioned as the address for Robert Attenborough is in September 1866 when an assistant of Attenborough’s gave evidence against a suspected thief. The business is referred to as “late Neale”. (3) In 1872, both the names of Robert and Percy Attenborough are mentioned in the newspapers when they reported on one of their employees who had been stealing from the firm. Percy turned out to be Robert Percy, Robert’s son, born on 10 January 1848. 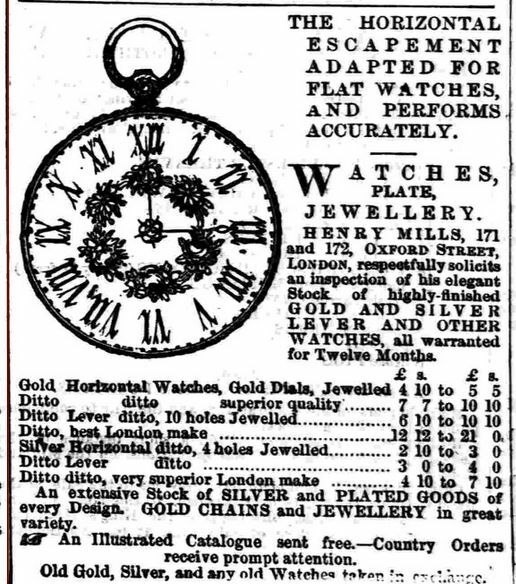 Robert was mentioned in Customs’ Administrators and Customs’ Reformers by James O’Dowd (1853) in an 1845 case where bent Custom officers had cheap French watches smuggled into England where they were distributed by a custom-house agent to various pawnbrokers from whom they were subsequently seized by the same customs officers who had hedged the plot. Attenborough was chosen as one of the victim as he dealt in that sort of material, but he got wind of the scheme and dispatched a friend to Calais to gather evidence. The two Customs officers were caught and fired from their office. O’Dowd gives this shortened version of events, but he also gives a longer version in which Attenborough does not act as honourably as he could by not voluntarily giving up all the watches he had in his possession and which had come from the swindlers. According to this version, Attenborough even offered the officers who came for the watches a bribe for which he was fined £50. The pawnbrokers who had been a victim of the smuggle scheme were allowed to retain the watches, but only after paying the import duty. (3) The Pall Mall Gazette, 24 September 1866. (4) England & Wales, National Probate Calendar (Index of Wills and Administrations), 1892. The estate was first valued at £66,000 but later revalued at £74,255. (5) England & Wales, National Probate Calendar (Index of Wills and Administrations), 1930. (6) The Bristol Mercury and Daily Post, 31 December 1892. You may also like to read the posts on George and Richard Attenborough of Fleet Street and Piccadilly, and on Richard, Richard and George Attenborough of Shoreditch High Street and Crown Street, Finsbury Square, or on John Graham of 10 Ludgate Street whose son married Amy, the daughter of Robert. 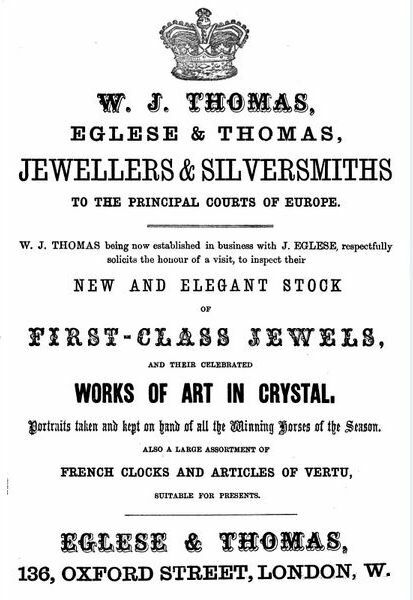 The story of the extended Attenbury family who worked as pawnbrokers, silversmiths and/or jewellers in London is quite a complicated one and started in two villages in Northamptonshire, Blakesley and Titchmarch. I will come back to the Titchmarsh lot in later posts, but for now I will concentrate on George and Richard, the easier family group to sort out. George Attenborough senior (1791-1829), a farmer of Blakesley, and his wife Elizabeth had two sons who went to London to find a better life for themselves: George (1820-1892), who married Sarah Emma Parsons (1824-1897), and Richard (1822-1901), who married Elizabeth Coales (1829-1914). In 1844, George and Richard obtain their freedom of the City of London via the Company of Spectaclemakers by redemption. They are described as pawnbrokers and silversmiths. 1844 is also the year in which George marries Sarah Emma Parsons at Brighton. The couple’s son, Henry Arthur (1848-1930), receives his freedom of the Spectaclemakers in 1873 and takes over the business. Richard, although listed at number 204 when he obtains his freedom, at some point moves to 19 Piccadilly. We will come back to him later. 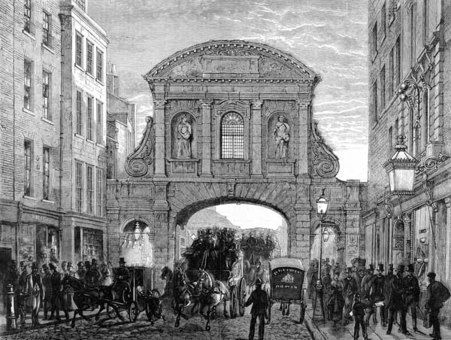 204 Fleet Street was built next to and over a small alleyway leading to Bell Yard, clearly visible on the left-hand side of the elevation at the top of this post and the rounded arch can also be seen just under and to the left of the pawnbroker’s symbol in the Illustrated London News illustration above. The shop was moved east a few houses to 193 Fleet Street, on the corner of Chancery Lane, probably in the early 1880s when Temple Bar was taken down and the Royal Courts of Justice were built. Another address found for the business is 71-72 Strand (photo here), but that may just have been a temporary address while the building work at Fleet Street was going on. The new premises on the corner of Chancery Lane were designed by the architects Archer & Green and, according to English Heritage, opened in 1883. Two 1884 photographs can be found here and detailed pictures of the decoration on the building can be seen on the blog post by Ornamental passions here. George lives out his days at Grove Lodge, Muswell Hill, Hornsey where he dies on 22 January 1892. His estate was valued at over £313,000, but later resworn at £321,000. (1) His widow Sarah Emma died in 1897 and his son Henry Arthur in 1930. (2) Henry must have handed over the pawnbroker and jeweller’s shop between 1891 and 1901 as the census for 1901 finds him at Catesby Hall, Daventry, Northamptonshire, as a grazier and farmer, while the 1891 census still found him in London as a pawnbroker. The 1911 census tells us that 193 Fleet Street was occupied by three pawnbroker’s assistants, one warehouse boy, a jeweller’s assistant, a housekeeper and a general servant. The name of the owner is given as George Attenborough. This must be the son of Henry Arthur who was born in 1873 and obtained his freedom of the Company of Spectaclemakers in 1897 by patrimony, probably at the time when his father retired. George was a clever chap and had been to Oxford where, according to the 1901 census, he obtained a BA. He died in December 1949 and is described in the probate entry as of Catesby near Daventry and of 193 Fleet Street. 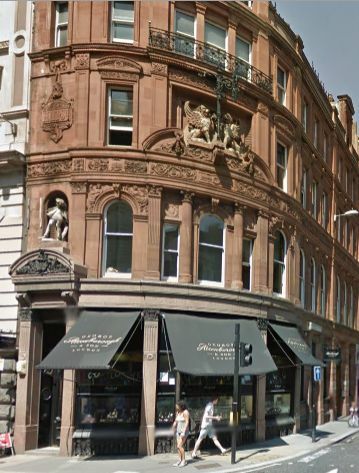 (3) Over time, the shop became less of a pawnbroker’s and more a jeweller’s and still occupies the 1883 building. Their website can be found here. Richard, although listed at number 204 Fleet Street when he takes out his freedom, at some point moves to 19 Piccadilly. He is not yet there when the Tallis Street View for Piccadilly comes out (number 19 is then occupied by Woolley an ironmonger), but when he marries Elizabeth Coales in 1849, he is described in The Observer as of Piccadilly and Portman Street. The Post Office Directories of 1848 and 1851 give, besides 19 Piccadilly, also 8 Portman Street, Portman Square, as his address. Richard and Elizabeth do, however, live above the property in Piccadilly where the 1851 census finds them with two assistants and two house servants. Richard makes quite a name for himself when he enters some of his work in the Great Exhibition of 1851 and his work merits a whole page in the Art Journal Illustrated Catalogue. At the next exhibition, in 1862, some of his jewels are depicted in the catalogue and described as “most refined examples”. 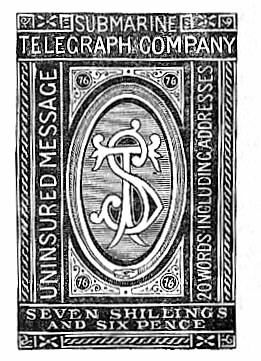 In 1856, the Post Office Directory lists Richard at both numbers 19 and 33. 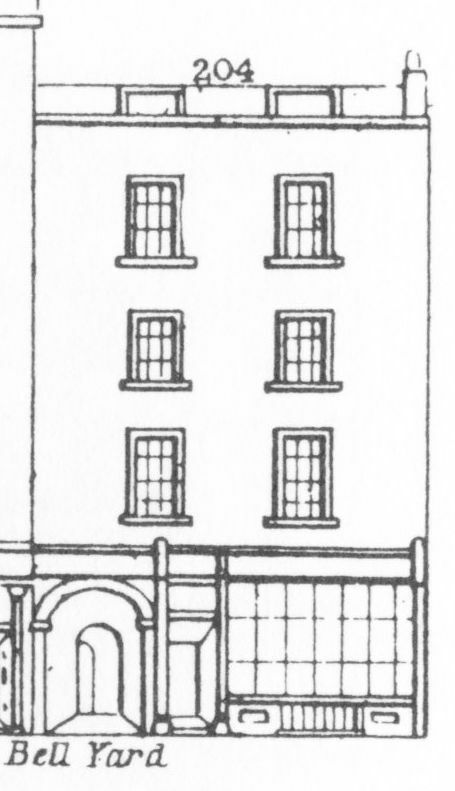 In 1870, he had his shop at 33 Piccadilly (by then encompassing numbers 34 and 35) entirely rebuilt and The Architect (27 August 1870) fills a whole column describing the new building (online here), illustrating it with the drawing of which you see the lower section below. In the 1861, 1871 and 1881 censuses, we find Richard living at Whitley Grove, St. Giles, Reading, variously described as landowner, pawnbroker, silversmith and farmer. In 1873, his entire herd is sold at auction. (4) This had probably all to do with a compulsory purchase order on the farm taken out by Reading Town Council for drainage purposes. 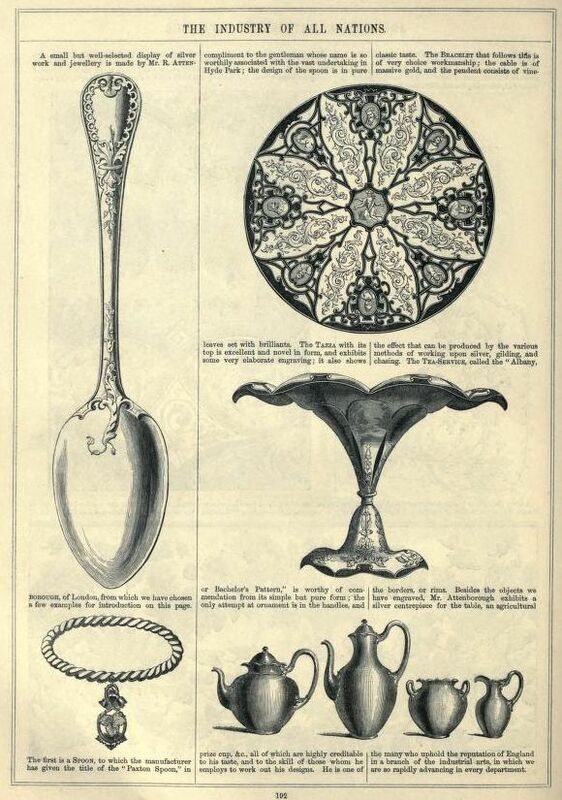 (5) Given the extensive building work at Piccadilly, the exclusive silverwork he produced which received only praise, and his move to the countryside, one might assume that Richard was doing very well, but instead of leaving a similar sum of £300,000 at his death in 1901 as his brother George had done, Richard left a ‘mere’ £5,800 in assets. (6) Not to be sneezed at of course, but more could have been expected. A possible explanation is a bad investment. According to culturalecology.info, Richard retired from his business in London in 1874 and bought the Lower Resolven colliery in Wales. By 1885, “extravagant living and ignorance of the trade brought their nemesis when he failed, with assets negligible and debts of nearly a quarter of a million”. (7) Unfortunately, the article does not give any references, so no idea where the information came from, but it would certainly explain the drop in Richard’s financial resources. By 1891, Richard had moved back to his roots and could be found at the Manor House in Horton, Northamptonshire, where he spent the rest of his days. (1) England & Wales, National Probate Calendar (Index of Wills and Administrations), 1892. (2) England & Wales, National Probate Calendar (Index of Wills and Administrations), 1897 and BMD Death Index December 1930. (3) England & Wales, National Probate Calendar (Index of Wills and Administrations), 1950. (4) Thornton’s Circular. A Record of Shorthorn Transactions, vol. 3, January 1872 to December 1873. (5) The Builder, 29 March 1873. (6) England & Wales, National Probate Calendar (Index of Wills and Administrations), 1902. Estae valued at just over £5,800. (7) ‘Living and Working by Water’ by culturalecology.info (online here). You may also like to read the posts on Robert Attenborough of Charlotte Street, and on Richard, Richard and George Attenborough of Shoreditch High Street and Crown Street, Finsbury Square.